Many men these days have enhanced all their routine activities with an aim to be fit all over the lifetime. They are willing to use the most individual resources within their budget and improving every aspect of their workout. Even though they spend at least an hour in the fitness center to do workout day after day, they like to engage in simple yet effective exercises such as walking. If you have planned to walk day after day for enhancing your physical health condition gradually, then you have to buy the best suitable products and accessories at first. For example, you have to buy brand new walking shoes from the most renowned online shop or local store. There are many designs of lightweight walking shoes for men worldwide at this time. The following details assist you to prefer and purchase the most suitable walking shoes. There are many factors to consider before begin your step for focusing on leading brands of walking shoes on the market. On the other hand, the most important factors are as follows. Many men these days do not know similarities and dissimulate between walking shoes and hiking boots. In general, walking shoes are lightweight when compared to walking boots. If there is a little to no climb on your terrain, then you can prefer and wear walking shoes. You will be comfortable and happy when you take advantage of the less restrictive nature of walking shoes in the summer. The maximum versatile and flexible features make walking shoes more attractive and preferred than walking boots. You may wish to know the difference between the walking shoes and running shoes. The cushioning is the principal difference between these two categories of shoes. Walking shoes have thick and heel with the maximum flexibility towards the foot’s ball. Running shoes have greater arch support and lighter weight than walking shoes. 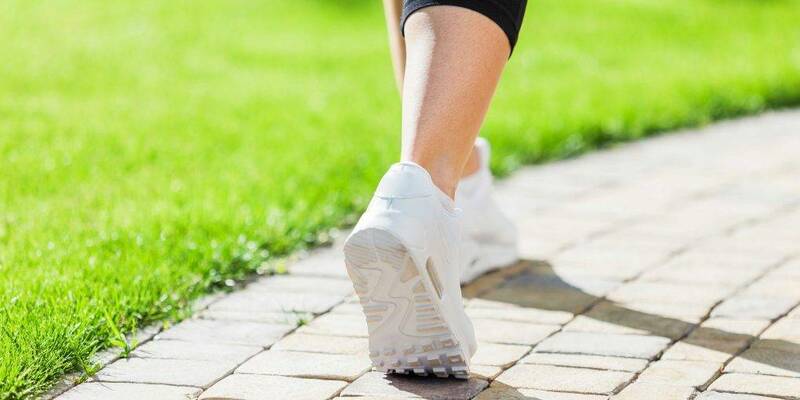 It is the right time to know about different parts of walking shoes and simplify your efforts to select the best suitable walking shoes without compromising your expectations. The following details explain you the main parts of almost every brand of walking shoes. The full base of the walking shoe is called as the insole. This place sits directly under the feet. An insole is also known as the foot bed. The primary material used to make this important part of walking shoes is a high-density EVA foam. This premium material provides the maximum cushioning between the ground and feet. Even though the overall shape of insole lost over time, everyone who uses the walking shoe can reap the best benefits from the insole. The insole provides necessary protection and comfort for all users. The midsole part in walking shoes provides so many favorable things as follows. The midsole portion is located between the inner sole and the outsole of walking shoes. Phylon and EVA materials are used to make the midsoles in walking shoes. These materials provide the maximum comfort for every user over a long period. Different materials such as rubber compounds are used to make outsole part of the walking shoes in our time. The best in the class material of outsole supports users to take advantage of traction and durability further. Even though these materials provide lightweight and flexible elements for walking shoes, they wear quickly and provide less grip at all times. The uppermost part of walking shoes is made from mesh, suede, leather and other materials. Natural water resistant of the leather upper in walking shoes gives a good return on investment. You have to make sure about the breath ability and waterproofing features of walking shoes before buying such shoes. The fabric is the most common material of lightweight walking shoes for men at this time. The main advantages for users of walking shoes made of fabric material are as follows. However, a combination of mesh support and a suede material is recommended for those who seek affordable yet durable walking shoes. If you prefer leather walking shoes, then you cannot get the lightweight and spend more than estimated time to wear in. Less breathable nature of such walking shoes reduces your comfort gradually.